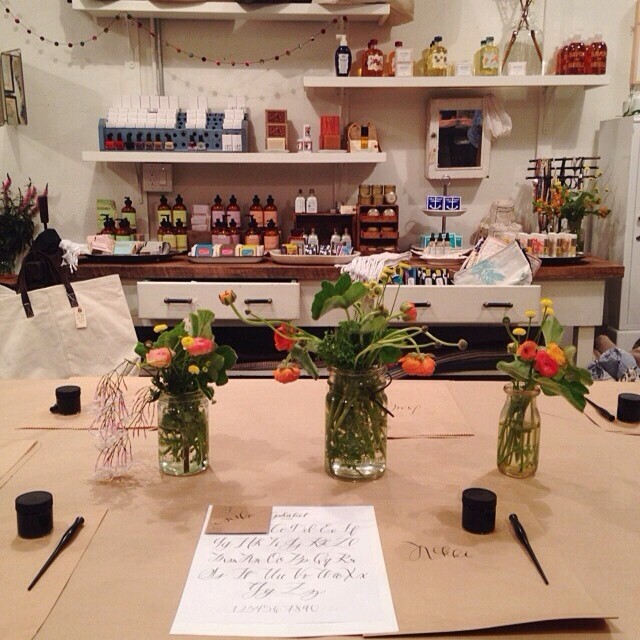 The past few weeks I've had the pleasure of teaching calligraphy classes at some of the most beautiful shops. 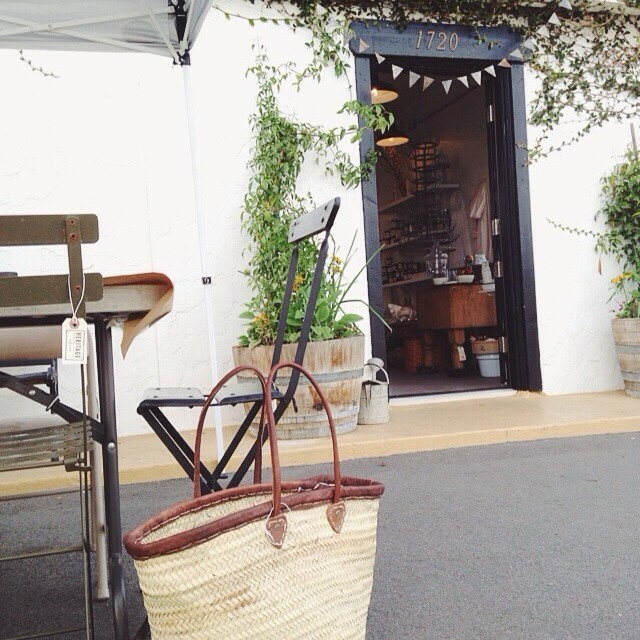 Heritage Mercantile in Costa Mesa held two workshops, complete with a wine bar and finger foods for the night class and for the Saturday morning class, mimosas and croissants. It was heaven. They carry everything from handmade aprons to cute cards and stationery. A true gem in Orange County. 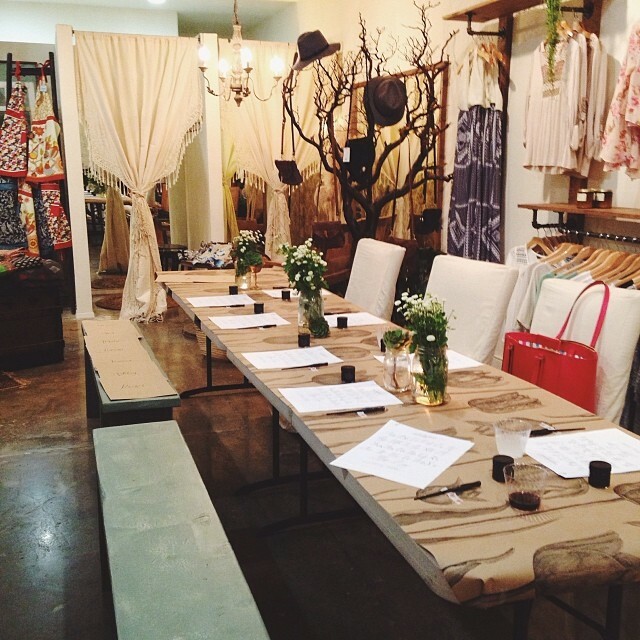 The next class was held at a clothing boutique in Seal Beach, Stitch & Feather. The clothing in there is perfection. Stevie Nicks vibe, Free People type clothing, with Forever 21 prices. Truly dangerous. If you'd like to know more about my workshops or check out upcoming dates, go to my workshops tab. And to get all of you Northern Californians excited, I'm talking with a few shops right now and scheduling some classes for this summer in Ojai and San Francisco!...so be ready for some #monvoirworkshops in your near future!